I created this quick guided meditation for you to do any time you’re feeling stressed and anxious. It’s designed for you to do anywhere – in your car, in your office, while you’re standing in line – and the more you practice the more effective it becomes. One of the keys to managing stress and anxiety is to change what’s happening in your body, and the one thing you have control over is your breath. The good news is that when you change the way you’re breathing, that tells your brain to change the rest of what’s happening in your body. You can do this practice for whatever length of time you have. You’ll reduce your stress in just three minutes but you can also do this for just 5-10 breaths any time you’re stressed out. I tell my patients to practice this breathing exercise everyday, even when they aren’t feeling stressed, so that they’ll be ready to use it when they are. 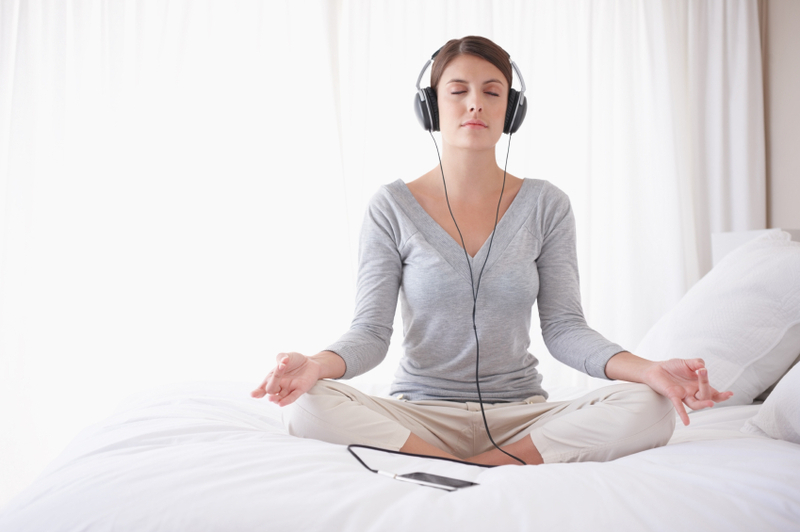 This is from my CD, Free Yourself from Anxiety, and I’m sharing it with you here because the first thing you need to do when working toward living in wise mind and reducing anxiety is to learn how to relax your body—and this guided relaxation practice will help you do that. Try to do this practice every day, ideally first thing in the morning when you wake up and haven’t gotten out of bed yet, and if time allows, again right before you go to sleep. You want to be in a calm state of mind when doing your practice—you don’t learn how to put up a tent in a hurricane! Doing this meditation in the morning will help set the tone of your day, and doing it at bedtime will clear your head and help you get a good night’s sleep. This is from The Heart Healthy Kit, a project I worked on with Dr. Andrew Weil, pioneer in integrative medicine, where I contributed meditation practices for learning mindfulness and dealing with stress. This is an introduction to mindfulness meditation, and the objective is to shine the light of observation on our experience without judging or attempting to change anything about it. The objective here is different than in a relaxation practice where we are aiming to change something about our experience and our body. This practice guides you through several different objectives you can bring into mindful awareness such as breath, body, thoughts and emotions. Try to do this practice daily when you can carve some time out for yourself. Get into a comfortable position—there is no right place or posture to sit in— and listen to the guided practice to help you tune in to your experience of the moment.